Quickly create visual reports, analytics, and dashboards from your Text files, all highly interactive and easy to share. 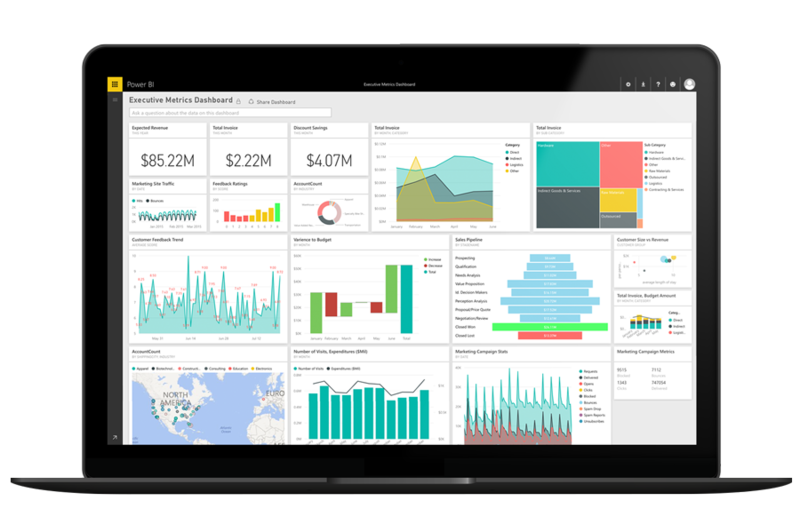 Get the right data with out-of-the-box analytics reports, dashboards, and KPIs in an easily consumable way. Drill down with filters and detailed reports to gain more actionable insights. Ask Power BI questions in natural language, like "how many users did we have in November?" An up-to-date chart displays results that you can pin to your dashboard for continued monitoring. Pin key visualizations from custom reports to your online dashboards to quickly create a monitoring and reporting resource that’s useful across your entire organization.